To fit horizontally across the top of the door externally. Also known as the weather strip. To fit around the aperture of the door with the moulded corner already made. Sold as a pack of 10 only. 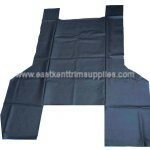 Jack Bag made from Vinyl with a Velcro strip for secure fastening. Plastic trim that attaches to the drip rail. Price is per trim. One trim is enough for one side of the car. 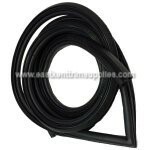 Sunroof seal for cars without a vinyl roof. 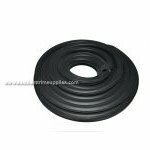 Sun roof seal to fit cars with a vinyl roof. Complete Vinyl Roof handmade on our premises. Please note: we are currently unable to supply the adhesive. The price shown is just for the Vinyl Roof.